We met Brian and Paula 2 years before our wedding and, over the course of planning and associated madness, these two may as well have been invited to our wedding as close friends as well as our photographers! With Brian and Paula, not only do you get a true team batting for you on your wedding day, but also their unending smiles – not to mention a load of fun. Brian and Paula spent the day with us from getting ready in the morning until our first dance. They slotted in effortlessly to the day, bringing the right balance of candid and instruction to ensure that we got the photographs we wanted but also managed to deliver a lovely, spontaneous collection of photos as well. They talk you through everything (I think the whole day would have fallen to shreds without their time management advice) and make sure that you won’t need to worry about a thing (regarding photography anyway) on the actual day. Even when our ceremony was delayed by 45 minutes due to traffic, they improvised by using the time and landscape available to capture some wonderful photos in a space we wouldn’t have otherwise considered. My husband and I could not recommend Brian and Paula (Crieff Photography) highly enough – based on the quality of both their photography and their characters. 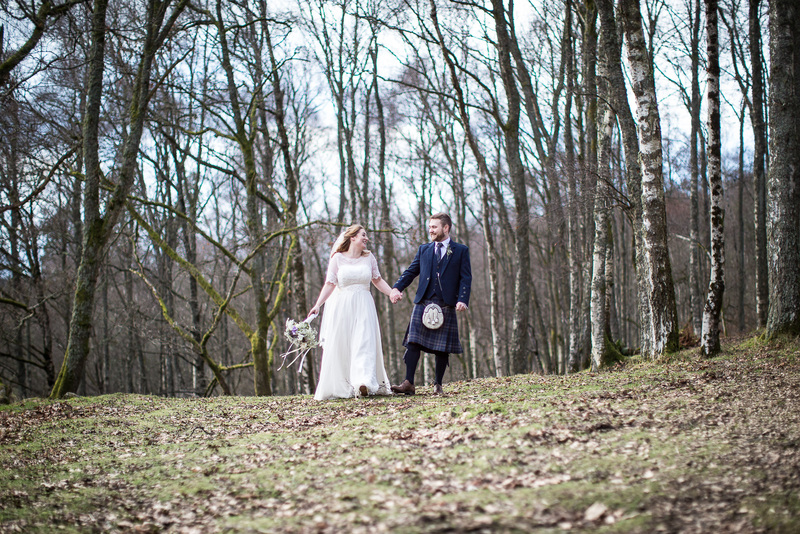 We felt pretty overwhelmed when we started looking at wedding photographers, but we noticed that one name came up again and again on photos we saw from Comrie Croft, so we decided to get in touch with Crieff Photography. Brian and Paula met us for tea and cake to talk about what we wanted from our photography and we knew immediately that they had the right approach to go with our relaxed, joyful wedding. They include a pre-wedding shoot in their package which is great for addressing any anxiety you have about getting in front of the camera, and helped us get to know them better. On the day they were an absolute dream and it’s so great having them working as a pair – Paula was with Kate and the bridesmaids capturing beautiful “getting ready” shots while Brian was already at the church catching people arriving and photographing the boys. They were so much fun to be around and managed to catch everything we wanted throughout the day, without ever being intrusive. The icing on the cake was how quickly they turned around our photos – they were ready almost as soon as we came back from our honeymoon and are just perfect – we can’t stop looking at them.We’re definitely hoping to find an excuse to use Brian and Paula for other events in future and would recommend them to anyone. After getting engaged in July and booking our wedding for February we knew we would have to act fast on booking suppliers. 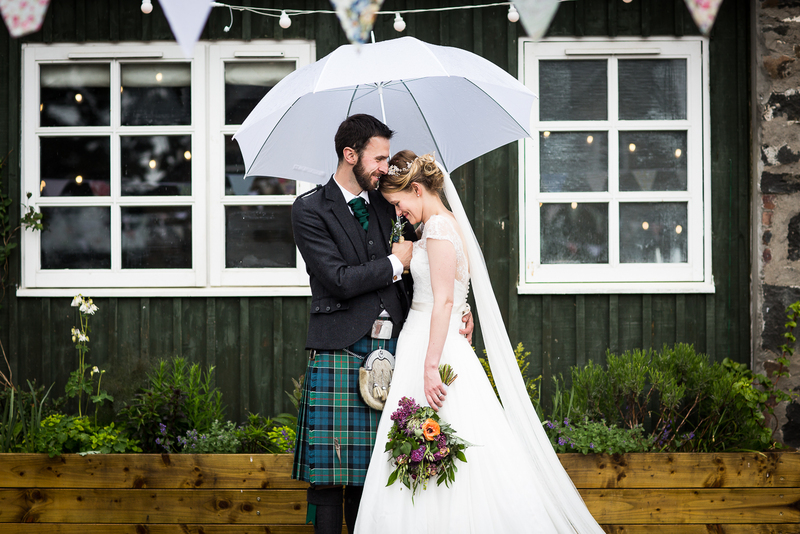 We found Crieff Photography on the suppliers list for Comrie Croft and had also found them recommeded in some scottish bridal magazines. I am so glad we contacted Brian and Paula as they were amazing from the start. We both weren’t too excited about being centre of attention, a bit difficult when getting married, so when we had a pre-wedding shoot with them they managed to relax us and make us feel completely comfortable throughout the afternoon. We loved our shots and all this helped immensely as we had no worries on the lead up to the day. Both Paula and Brian were so professional on the day from when we were all getting ready, to the ceremony – right through to the demolition of our massive penguin piñata! They were praised by many of our guests on just how lovely they were. We were extremely excited to see some of our photos and managed to get a beautiful selection within less than a week. Once viewing them we couldn’t wait for the rest! I personally was also very excited to receive the beautiful packaging which is even more gorgeous in real life! 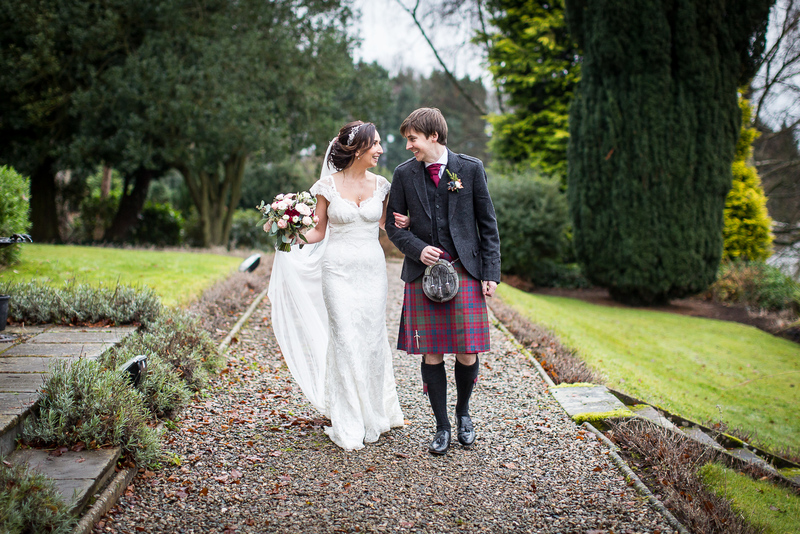 Now after viewing our full collection of photos we are so pleased that Crieff Photography did our wedding! 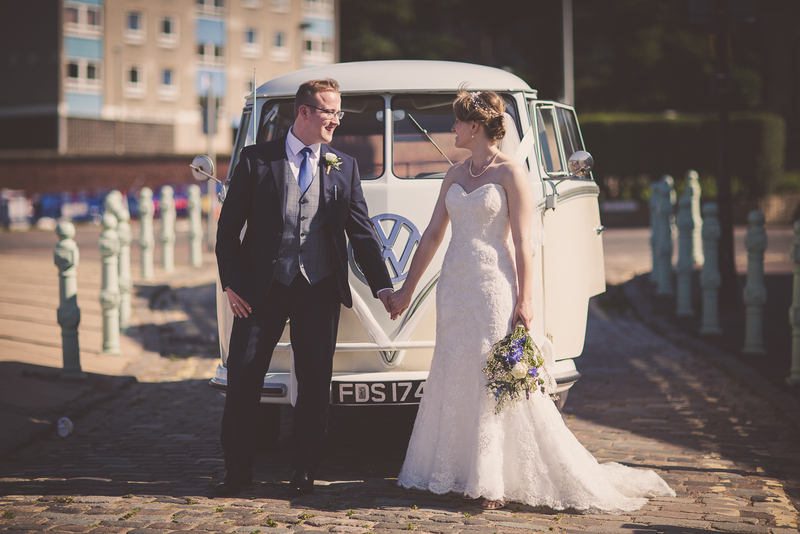 We are over the moon with the photos and would recommend them again and again to anyone getting married! We feel so lucky to have chosen Brian and Paula as our photographers. I can’t count the number of times I’ve lost myself in looking through our wedding photos, they are beautiful and tell the story of the day so well. We moved to San Francisco shortly after our wedding so it has been wonderful to look at the photos and see all of our closest friends and family having a brilliant time. Brian and Paula really do go above and beyond their role as photographers. In the morning of the wedding Paula made sure that no one saw me as I switched rooms to have my hair and make-up done. When my veil got caught on the stairs during my grand entrance it was Paula who raced to free it as inconspicuously as she could. Brian was amazing at time managing the day and making sure that it all came together as we had imagined. I really don’t know what we would have done without them! My husband and I hugely recommend booking Brian and Paula as your photographers. They are absolutely lovely people to share your day with and they will capture it all perfectly.